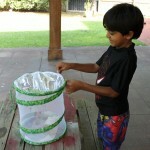 Kabir and I plan to do a few fun science projects this school year. 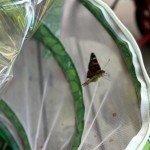 Our first project was to watch the life-cycle of a butterfly. 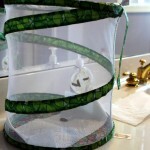 We bought live caterpillars and watched them grow to cocoons and then butterfly. 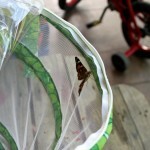 Finally, we released the butterflies in our backyard. Kabir kept a daily journal. 3 on top, one on the ground. 3 attached to the top. 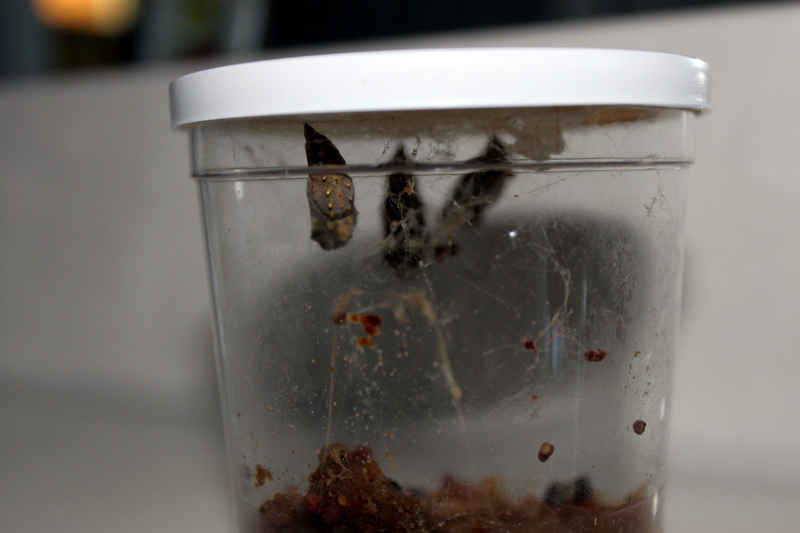 Two have shed their exoskeleton and are becoming chrysalides. 1 has not shed his exoskeleton yet. The one at the bottom may be dead or is shedding its exoskeleton on the ground. 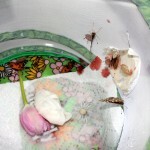 4th one became chrysalide too. 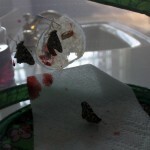 Transferred three that were attached to the paper to butterfly habitat. The one on the ground: We put a paper towel at the bottom of the butterfly habitat, then we picked up the one on the ground and put it on the paper towel in the butterfly habitat. And we found another tiny little caterpillar. It even moved! No change, but new caterpillar looks little longer. 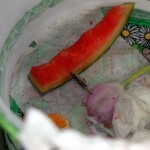 Caterpillar is little fatter and now is 3/4 inch. No change for pupae, but baby caterpillar is even fatter and longer: 1 inch long. One is still in cocoon. WE can see red meconium. 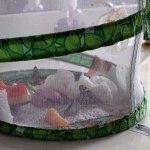 The wings seem weak for two butterflies, so we will wait for two hours to feed them. To feed them, we took a tulip and with a pipette we sprinkled some nectar on it. Then we put the tulip in our butterfly habitat. But all the nectar dripped off. 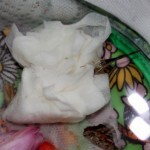 So we dipped a paper towel in the nectar and we put it in the butterfly habitat. 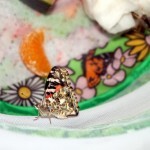 Later we added a piece of orange to the butterfly habitat. 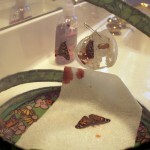 We added a fresh paper towel soaked in nectar, and the fourth butterfly emerged from its cocoon while we were standing there. 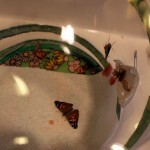 One of the butterflies is drinking. Hopefully he is enjoying. We added a slice of watermelon. 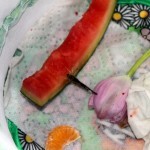 We took out the old paper towel and put a new fresh one soaked in nectar. 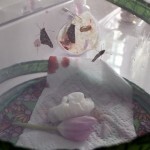 All four butterflies are getting active and we can see them enjoying. Caterpillar is 1 1/4 inch. The food in the bowl has lessened. 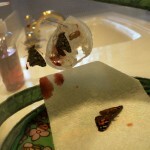 We released the butterflies in the evening. 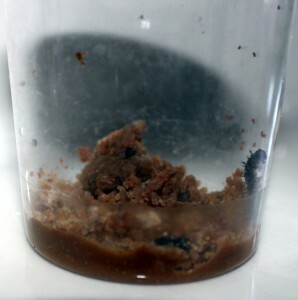 The caterpillar is on one side of the jar. We saw the caterpillar eat. 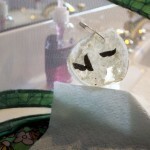 The caterpillar might be dead, because he hasn’t moved at all. After a few hours, the caterpillar moved. 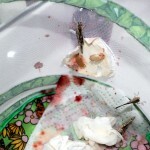 Either dead or forming cocoon.